Fresh from Norway, Occupied (Okkupert) is a tense drama that takes place in the “near future.” The story is inspired by climate change, the goal of energy independence on a national scale and the competing interests of fossil fuel-dependent nations reluctant to change. If that sounds like a snoozer of a plot for a foreign thriller, think again. The Occupied TV series mixes in assassination attempts, conspiracy theories, international incidents and personal dilemmas, resulting in a crisp, dark, suspenseful TV show. 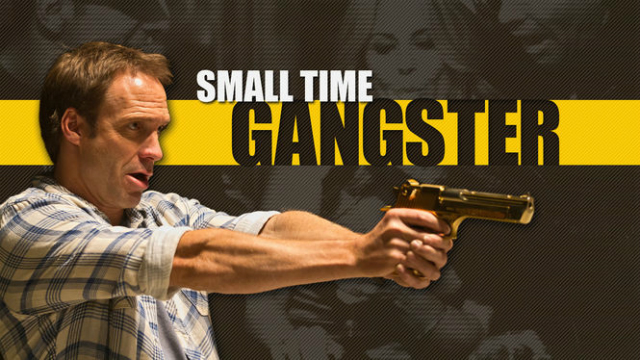 The episodes progress like some police procedurals; more dialogue than action, but at a fast enough pace to keep Occupied from feeling bogged down. There is constant conflict between the media and the government, within the government and within individuals. The dark mood of the series is reflected in the visual character of the scenes, dark blues, grays and black, the colors of the ocean, occasionally contrasted against white or the deep greens of Norway’s forests. Central characters include a presidential bodyguard, a male journalist and his restaurant-owning wife, the prime minister and an extensive supporting cast. The actors playing these roles are mostly not familiar to American audiences, but viewers may know of Jo Nesbø. The author of a successful line of crime novels originated the concept for Occupied. It was further developed by Erik Skjoldbjærg and Karianne Lund and directed by Skjoldbjærg. The production company is Yellow Bird, known for the Wallender series, Annika Bengtzon and the European version of the Millennium Trilogy (The Girl With the Dragon Tattoo). There is a fair amount of complexity to the plot, but it all makes sense and is believable as long as you are on board with the initial premise. Even if you don’t think that the USA will soon be energy independent or leave NATO, the global instability and international tension portrayed is in keeping with today’s reality. In fact, it is real enough that the Russian Foreign Ministry has issued a statement complaining about the TV show. 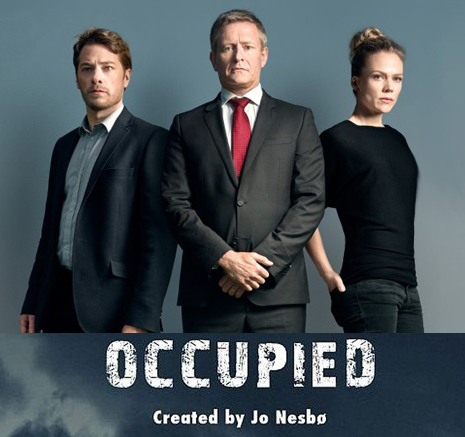 The Occupied TV series first aired on Norway’s TV2, October, 2015. 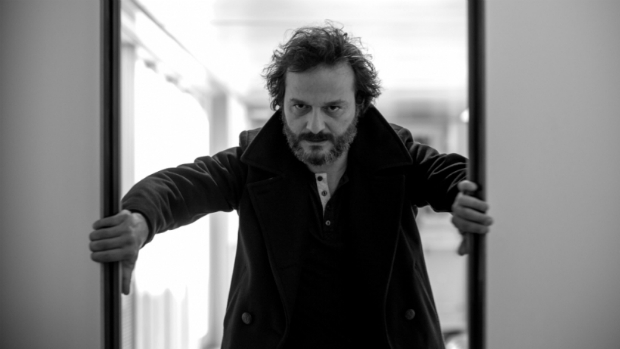 The ten episodes are now available on Netflix and – if you are a fan of nordic noir and political thrillers – should be at the top of your Netflix TV shows list. The trailer below is mostly in Norwegian, but it gives you a feel for the show. Excellent !!! A very believable and timely drama. Not like your typical American Papp. Great job reviewing this excellent series! Many people don’t realize that Norway borders with Russia, so this is a fascinating look at what could easily be. Thank you, and that’s a good point! There probably lots of people checking Google maps after watching Occupied! It’s nice to have a smart TV and a Netflix account. We ran through probably six shows yesterday and will start with the next few after dinner tonight. This is a fascinating show, and being a Jo Nesbo reader, I am truly enjoying this premises, about the underhanded way the Russians insinuate themselves into power in Norway. The action is so moving that it is easy to lose track of the cause: Norway takes a firm stand on shutting down its fossil fuel production to curb greenhouse gases: two bad it throws the rest of the world into chaos caused by energy deficiencies. So much for doing the moral thing. I have already watched this series 3 x’s and will watch it 3 more times in the next week ! We would love it more if we had more language’s to select from like English! Regardless, love the show here in Texas ! Fantastic show, I love it. Great show. Well conceived, well written and produced, well acted and directed. Thank you…now give me season 2!!! Given that the first season premiered in Norway in October, 2015, and arrived on Netflix 3 months later, it seems unlikely that we will see Occupied Season 2 until late 2016 – at the earliest! It will be a long wait! Great show. Intelligent, complex and gripping. It is a story, of course, based on fiction not reality but very absorbing with enough real elements to make you think long and hard about whether or not some parts of the story could become a future reality. Love the actors and the way the show handles plot and character development while keeping the action tight. Awesome wonderful , waiting for season 2. When did the Fooding scene in the opening happen? Yes, this is a tremendous show. Yellow Bird brings out some excellent programs. Love this series! Can’t wait to get season 2! Excellent series. Please have a season 2. The acting and story work so well together. We enjoyed every episode. Awesome show, great acting and storyline. Excellent. Intelligent. Believable premise. Good twists. Can’t wait for Season 2! I really liked the series but a couple things bothered me. One; The female restaurant owners son threw a Molotov cocktail at the Russian Embassy and no repercussions? 2; The female Police detective working with Djupvik takes the memory stick from Wenche Arnesen and looks at her suspiciously and no mention of it after that?